We discuss what it is, how it can work for your family, safety, reasons to baby-wear and how it can work from the birth of your baby into toddlerhood. This session is personalized to answer your questions. We will show you basic techniques and carries. A few types of carriers will be demonstrated. Safety and reasons to babywear will be discussed, time to answer questions is also included. 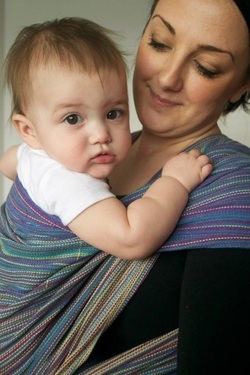 We offer both babywearing intro and babywearing basics in a group setting. Contact Jill at nf.nutrition@gmail.com for more information. For all services, Nurture The Future Nutrition requires 24 hour notice for cancellation.